Increasing numbers of Afghans, Yemenis and Somalis live like this. But we don't think about them, or if we do, we justify their inconvenience or worse for the sake of our national security. It's an utterly myopic attitude to adopt. -- James Jeffrey's "View From the Wreckage"
The 9th U.S. Circuit Court of Appeals in San Francisco has rejected a bid by a coalition of civil and immigrants rights activists to prevent police from enforcing an Arizona provision that is at the heart of the fierce national debate over immigration. for now. A full appeal hearing before the Second Circuit is set for September 28th. 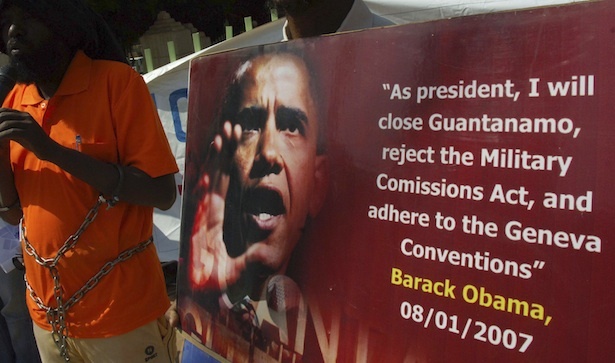 Will President Obama get 4 more years to finish his war on the Constitution? Not if we can help it. When Obama's former teacher and senior policy advisor, UC Berkeley Law School Dean Christopher Edley presented a "report card" on the president's performance at Herbst Theatre in San Francisco, World Can't Wait's response team was there to protest broken promises and continuation of the criminal actions of the Bush regime. war rhetoric from Israel "unrelenting"
Battleships, aircraft carriers, minesweepers and submarines from 25 nations are converging on the strategically important Strait of Hormuz in an unprecedented show of force as Israel and Iran move towards the brink... The war games are the largest ever undertaken in the region. but that is the price of membership. 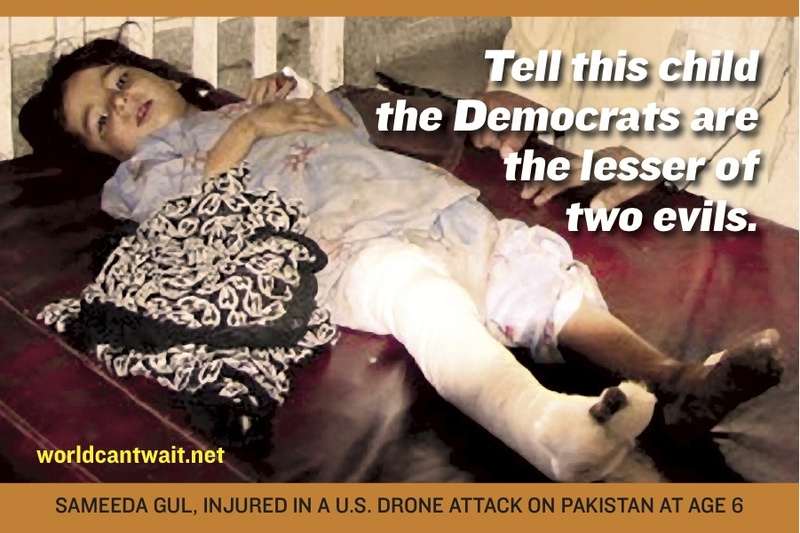 When the Democrats ask you to vote for Obama, think about what you're endorsing... wars of aggression, indefinite detention, torture, drone bombings, a presidential "kill list," and suspension of core civil liberties. These are some of the critical issues World Can't Wait will bring to protest at the Democratic National Convention, with no reticence or apology. Join us for street outreach and theater throughout the week of September 2nd. Persecuting and abusing whistleblowers. Indefinitely imprisoning people with no charges. Due process-free assassinations of citizens, even teenagers. Continuous killings of innocent people in multiple Muslim countries. 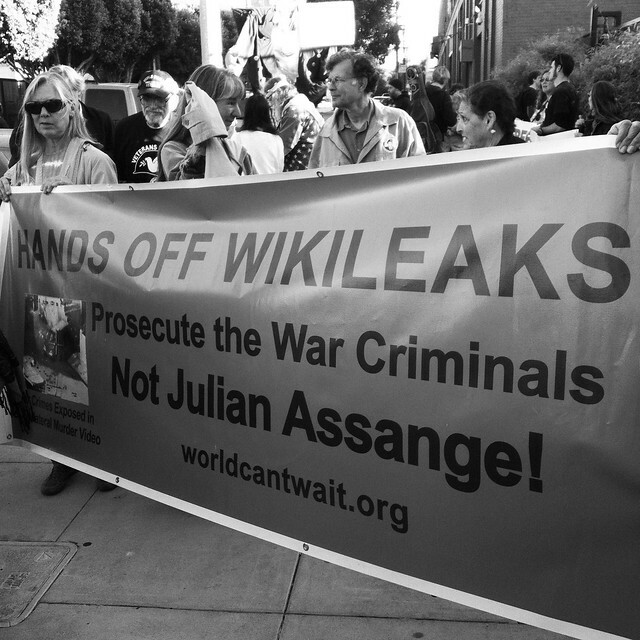 Free Manning & Assange, Stop the Wars! Photo of Free Bradley Manning protest outside official San Francisco Democratic Acceptance Speech Watch Party. Thanks Steve! This call addressed an enormous need. Who will refuse to be silent when Bradley Manning faces life in prison for giving the people the truth about the crimes of our government - while the war criminals themselves walk free? Whose hearts will lift at seeing a wave of actions refusing to go along with the "lesser of two evils" and all its hellish wars and other crimes?